It is my pleasure to announce that Dr. Mark Allen Poisel will join UA Little Rock July 31 as the new Vice Chancellor of Student Affairs. In this restructured position, Dr. Poisel will manage the divisions of Student Affairs and Enrollment Management. He received his Ed.D. in higher education from Florida State University in 1998. He currently serves as vice president for Enrollment and Student Affairs at Augusta University (AU) and has been working on university campuses and with students for the past 19 years. What distinguished Dr. Poisel was the fact that he is a speaker, a consultant, an author, and more importantly, a strong leader and advocate for students. His experience will be extremely valuable as our university and other universities in Arkansas face the challenge of a declining number of high school graduates. 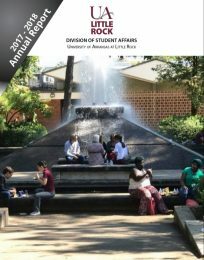 He will be a key leader in helping us meet our goal to expand UA Little Rock’s student population to 15,000 students in five years by recruiting and retaining more students. I’d like to thank Chasse Conque and the other members of the search committee for their work throughout the selection process. From an undergraduate student leader to his current role as vice president, Dr. Poisel has worked in almost all areas of student services with a focus on student success. While at AU, Dr. Poisel has been able to increase new student enrollment, build two residence halls, renovate student center space, restructure several departments, and reorganization a division all while leading efforts to consolidate two former universities into one institution. 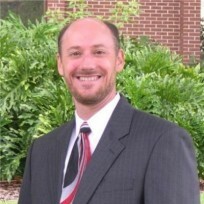 Prior to his role at AU, Dr. Poisel served as associate provost for student success at Pace University; associate vice president for student development and enrollment services at the University of Central Florida; student services specialist for the Florida Division of Community Colleges; and staff auditor for Ernst and Young. He has made over 60 presentations, including 15 keynote speeches, and authored several publications. He currently serves on the advisory board for the National Institute for the Study of Transfer Students and previously served on the advisory board for the National Resource Center for the First Year Experience and Students in Transition. Please join me in giving Dr. Poisel a warm welcome to the Trojan family.